That means it's not too hot and not too cold for liquid water -- the key to supporting Earth-like life. WASHINGTON – Astronomers believe they have found a second planet outside our solar system that seems to be in the right zone for life, just barely. But it would feel like a steam bath — hot, sticky and beyond uncomfortable. European astronomers announced the discovery Monday along with about 50 other planets outside our solar system at a conference in Moran, Wyo. The most exciting of those planets is only the second to be confirmed as lying in what astronomers call the habitable zone, or the “Goldilocks” zone. That means it’s not too hot and not too cold for liquid water to be present. Water is the key to a planet being able to support Earth-like life, scientists say. Only one of the past discoveries of such Goldilocks planets has held up. That was a planet found in 2007. And even this new one comes with an asterisk: The planet would need to have water and be a rocky, solid planet not one that’s primarily gas. The new planet is about 3.6 times the mass of Earth. Tem peratures there may range from 85 to 120 degrees. 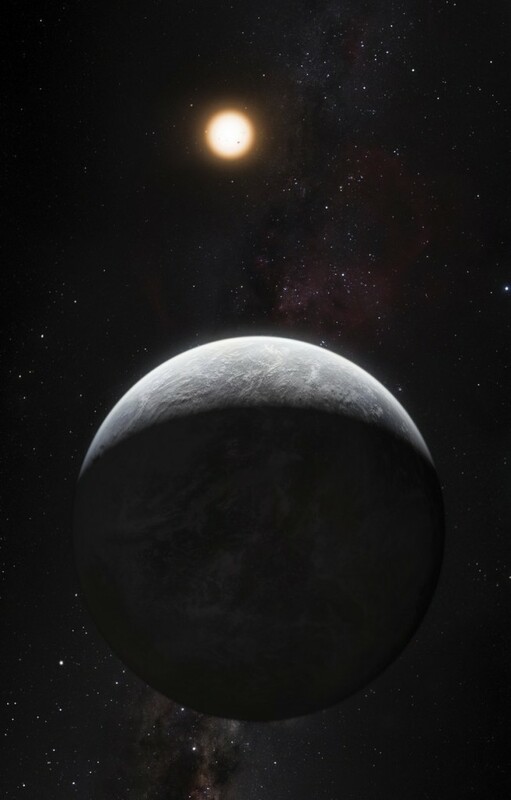 The new planet, called HD85512b, closely circles a star about 35 light-years from Earth in the constellation Vela. Each light-year is 5.8 trillion miles.